There are two features of the digital age in which we live that have changed the world. The first is that a vast wealth of information is available to us, more than we could ever hope to look at in our lifetime. Wikipedia alone has 4.2 million articles written in English. The second is that the barrier to publishing has almost disappeared: where once a handful of society had the means to print their work (or have it printed), now virtually anyone can. All it takes is a computer with an internet connection. Writing and publishing are an integral part of most careers in science, particularly for academic research. The digital age has transformed how research is published, but perhaps more importantly, has offered new channels by which scientists around the world can communicate with one another. Blogs and social media are powerful tools for scientists, and as highlighted by a recent article on the Scientific American blog, they may even offer a path to a career in scientific writing. 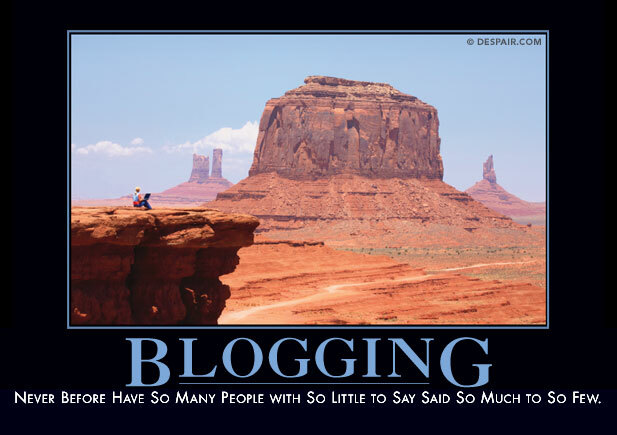 A few friends of mine have considered the idea of starting a blog and come to me for advice. It’s inspired me to begin a series of articles on science blogging. Share opinions. A blog is the epitome of free speech. There’s no editorial or peer review; you can write whatever you want, within reason. Just remember that there’s no guarantee of anonymity. Gain fame or notoriety. There are thousands of scientists out there, but only a fraction of them bother to start a blog. It’s therefore another means to separate yourself from the crowd. Build relationships. What I’ve enjoyed the most about Massgenomics is the network of other scientific bloggers, science writers, and researchers I’ve met along the way. Practice writing. It is a simple fact that how well you write will affect your scientific career. Obviously practice makes perfect, but the opportunities to practice writing can be limited in the traditional workplace. Blogging changes all of that; you can get as much practice as you want. It takes time. The hours you spend writing on your blog could be spent writing grants or manuscripts or you know, doing your job. Blogging can be a huge time sink, and you might end up with little to show for it. It can get you into trouble. Free speech, combined with the lack of editorial oversight, can be a hazard to your career. Assume that the people who pay your salary, fund your grants, and review your papers will read it, and proceed with caution. Readers are fickle. Let’s be honest, with the incredibly low barrier to entry, there’s a lot of crap in the blogosphere. People have only a limited amount of bandwidth for reading in any given day. Building and retaining an audience is tough. You may write dozens of wonderful articles, only to learn that no one is reading them. A domain name, which is how people get to your site. A web hosting package, which provides the files and database required for your site. Hosting your own domain and web site has a cost, though it’s not substantial. The up-side is that it requires little or no technical expertise to run your own site. I recommend that you start with a basic hosting package from GoDaddy.com. Right now it’s about $2.99 a month, which works out to less than $36 per year, and you get a free domain name with it. In my next articles, I’ll talk about how to set up your blog and begin to build a following.